At the encouragement of the National African American Reparations Commission (NAARC) and strong support of the NCOBRA Legislative Committee, in January, Congressman John Conyers re-introduced HR-40 as the Commission to Study Reparations Proposals Bill. This marked a decisive shift from simply studying whether Reparations are due African Americans to examining and recommending remedies for enslavement. An effort is underway to encourage 100% of the Congressional Black Caucus to sign-on to the Bill as Co-Sponsors by the Congressional Black Caucus Annual Legislative Conference in September. 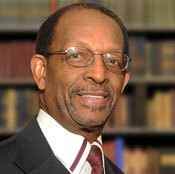 March 20 – 23, Dr. Ron Daniels, Convener of NAARC, attended an International Reparations Conference in Cali, Columbia. The invitation was extended by Esther Ojulari, the Afro-Descendant leader from Columbia who participated in the Reparations Town Hall Meeting at SOBWC IV. Dr. Daniels joined Danny Glover, Mirielle Fanon-Mendes France and James Early as Presenters at the Conference. Information was shared about NAARC and the CARICOM Reparations Commission as a basis for encouraging leaders and organizations to establish a Reparations Commission in Colombia. Dr. Daniels’ participation fulfilled a commitment made at SOBWC IV to support the development of Reparations Commissions among Afro-Descendant people in Central and South America. As a result, representatives of Afro-Descendant organizations are expected to attend a NAARC area/regional reparations gathering and strategy session in New Orleans in December. Since SOBWC IV, the National Urban League has issued a Call for a “Mainstreet Marshall Plan”. The Center for American Progress has also joined the call for a Domestic Marshall Plan. Accordingly, IBW has assembled a Task Team with representatives from the Office of Mayor Ras J. Baraka, the National Urban League, the Abbott Leadership Institute, Rutgers University, the African American Leadership Project and the IBW Research Consortium to plan a Symposium on The Case for a Domestic Marshall Plan at Rutgers University this fall. Urban policy experts, a selected list of Mayors, elected officials and scholars will be invited to participate in the Symposium. The goal is to clearly articulate the urgent need for a Domestic Marshall Plan to build and sustain wholesome Black neighborhoods and communities, and to devise strategies to mobilize national support for the concept. The goal of this Initiative is to mobilize maximum human and material resources from Black America and the Pan African World, e.g., urban planners, community economic development specialists, entrepreneurs, investors to support the planning and development goals for the City of Newark under the leadership of Ras J. Baraka, a progressive African American Mayor. We are delighted to report that Mayor Baraka has endorsed the concept and appointed a Liaison to work with the IBW Task Team. IBW will be relying heavily on Dr. George Fraser, President/CEO of FraserNet, to identify a select number of leaders to participate in an Economic and Community Development Planning Summit in Newark to launch this Initiative. IBW is actively engaged in conversations with the Movement for Black Lives to move forward with a follow-up to the Cross-Generational Dialogue at SOBWC IV. Two specific action-items are being discussed for implementation: Establishing safe “Teaching Spaces” for frank/honest cross-generational learning, sharing, exchange of perspectives, constructive critique and devising strategies to strengthen cross-generational engagement; and, convening a session on the implications and lessons of Cointelpro for the current generation of activists/organizers associated with Black Lives Matter, Movement for Black Lives and similar formations. We will be convening these sessions by the end of the year. The New York based Pan African Unity Dialogue (PAUD) is developing a campaign to expose President Yoweri Museveni of Uganda as Africa’s U.S. backed “Destabilizer-In-Chief” for his destructive covert and overt interventions in the Democratic Republic of the Congo, Sudan and South Sudan. These interventions have resulted in the loss of millions of lives and contributed to chronic instability in the region. The campaign will be launched in the next 60 days. PAUD is an Initiative of IBW. IBW has also committed to giving greater exposure to the plight of Afro-Descendants in Colombia where corporate backed militias and death squads are terrorizing Black communities and assassinating their leaders in an effort to push them off mineral rich and valuable lands. As a follow-up to the Labor/Community Solidarity Breakfast at SOBWC IV, with the support of 1199 SEIU in New York, IBW will convene a Labor/Community Solidarity Summit this fall to discuss strategies for strengthening labor/community engagement in support of unions and Black families and communities. While the progress on follow-up/implementation cited above is meaningful, the major goal of enabling the Issue Area Working Groups to continue after the conference is a decided shortcoming. We applaud Sister Nataki Kambon, Co-Founder and National Spokesperson for Let’s Buy Black 365 for continuing to convene interested persons from the Economic and Community Development Working Group. There was also an effort by volunteers from the Education Issue Area to continue engagement with interested persons in that Working Group. The leadership of IBW is deeply disappointed in our failure to facilitate the ongoing engagement of the other Issue Area Working Groups. For this we apologize. Our inability to follow-up on this commitment is due to our lack of staff and internal capacity. We simply do not have the human and material resources to effectively service the Working Groups to continue engaging post-conference. IBW urgently needs help/support to overcome this weakness. There was an overwhelming sentiment that IBW not wait four years to convene State of the Black World Conference V. The leadership of IBW would certainly like to return to Newark in November of 2018 for SOBWC V. However, as stated in the Declaration of Intent and Call to Action from SOBWC IV, that decision is totally contingent on IBW increasing its capacity not only to convene another conference, but to more effectively follow-up, particularly in terms of continuing the engagement of the Working Groups. As of this Report, we are not there yet. IBW needs more major donors, grants and sponsors to build our capacity. And, equally important, we need much more support from our friends/allies and interested parties who would like to experience SOBWC V in Newark.